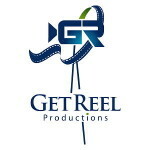 Get Reel Productions and it’s NY Helicam division provide a full range of aerial services in the New York, Connecticut and Rhode Island areas. Whether your needs are for real estate photos, a great video of your facility, construction documentation and maps, we can help you! Our pilots are FAA Part 107 and Section 333 certified and we are fully insured. Outstanding aerial photographs using high resolution cameras for real estate, construction and commercial clients. Video is our bread and butter. 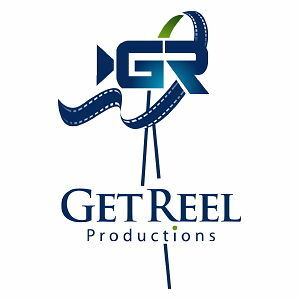 Our team can integrate aerial video into telling your story. We can help construction and commercial clients by conducting 2D and 3D mapping of job sites, environmental areas, or other properties. All our pilots hold FAA Part 107 RPAS licenses. This allows us to fly commercially for hire. We are covered by liability insurance for any flights in the United States. We would be glad to provide clients a certificate of insurance if desired. The FAA limits us when we get close to airports. We can get airspace authorizations to fly by certain airports with enough advanced notice. We can discuss whether your site needs a special authorization with you. We have a variety of drones, ranging from a small Mavic Pro to the DJI S1000 heavy lift drone. Our Inspire 2 carries a 20 megapixel camera and is capable of shooting cinema quality 5K video. Our central Westchester County, New York site is our base. We usually fly within a 30 mile radius from our offices. Longer distances are certainly possible, but we will need to charge for travel time and costs. We also have a Block Island, Rhode Island office for offshore and real estate work on the island. WHAT IS THE LEAD TIME FOR A PROJECT? The fairest answer is that it depends. We can be onsite quickly if no special authorizations are required. And, of course, it always depends upon the weather. We cannot fly in rain or snow, of it the winds exceed 20 miles per hour. In that case, we would coordinate a backup time with you. Give us a call or email to discuss your project.